I NEED TO...manage my Apple and Mac devices. Helping Granite School District accomplish its core mission of teaching. Apple management designed for the enterprise. Gartner Client Management Tools Market Guide. See what they say about UEM and us. A steady stream of Apple devices continues to make inroads into the enterprise with iPhones, iPads, Apple TVs, and Macs. If you're expected to manage Macs and Apple devices along with everything else, the trend is toward managing all endpoints as part of a unified endpoint management (UEM) process. Apple users want to be empowered, not necessarily managed. Solutions from Ivanti enable you to perform both iOS and Mac management at the user level in a mixed environment—all within the same workflows for PCs and mobile device management (MDM). IT teams need a broader picture of what's in their environment, a deeper view of their risks, and visibility into how devices are being used. Gain the insights needed to take action. Read the Gartner analysis to learn how. Manage and secure school classroom technologies and devices. Make configuration changes or push packages universally to Macs, iPads, iPhones, or other PC and mobile platforms. Control risks and costs due to fines, true-ups, overbuying licenses, and excessive energy consumption that affect your bottom line. Keep everything updated to prevent vulnerabilities. Counter security attacks and risks from viruses, ransomware, and user-initiated configuration changes. Automate IT tasks while providing a more modern experience for all users. 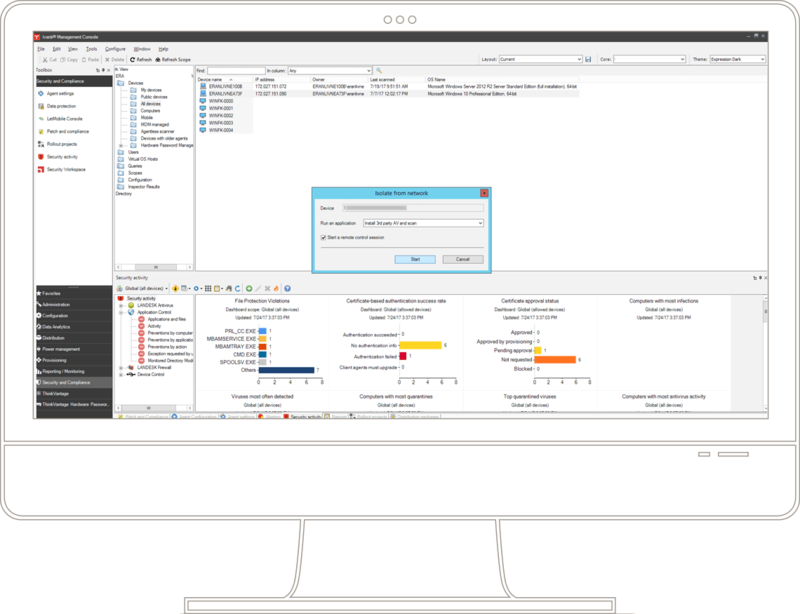 Save IT administrators from jumping between multiple consoles. Apple devices are common "BYOD" devices. Discover them, place them under management, and associate them with each user. The user is the ultimate endpoint. Solutions from Ivanti automate IT tasks on Apple devices, increasing productivity for IT while providing an updated, modern experience for users. The good news for our friends in IT is that administrators don't have to jump between multiple consoles or management paradigms to manage or secure Macs along with Windows and mobile devices. Combine systems management capabilities to unify endpoint management. Operationalize security integrated with systems management. We've helped organizations manage their Macs for years. Now we provide proven Enterprise Mobility Management (EMM) capabilities for all Apple macOS and iOS devices. Tracking software usage helps optimize your software licenses as part of your overall asset management strategy. Reclaim unused licenses and re-allocate where needed. Apple OS releases translate into time spent updating machines. Deploy new macOS versions without any Mac servers. Employ the same patch processes you use for Windows-managed devices to patch Mac or third-party applications. 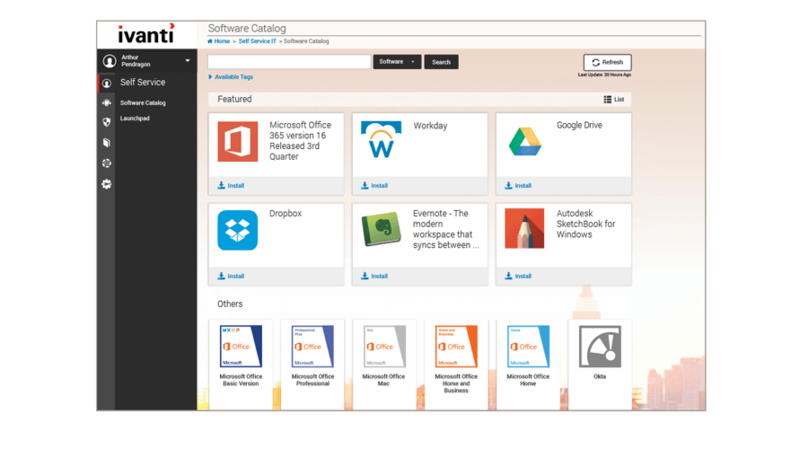 Provide an end user workspace that offers workers everything they need to interact with IT and access corporate-approved apps, assets, content, and services in one place. Connect via Apple MDM features and leverage the Apple App Store through the Device Enrollment Program (DEP) and the Volume Purchase Program (VPP). Deploy to thousands of machines in mere minutes. Organize, automate, and roll out the operating systems, software distribution, and patching projects to users in different groups throughout multiple deployment stages. Install software without end-user interaction or present it in a self-service end user workspace. Use provisioning templates to automate your upgrade processes, including communications with users, laying down all supported and licensed applications, and standardizing your Mac OS images. Deploy macOS without any Mac servers. Why travel 30 minutes or more for a five-minute fix? Solve user issues cost-effectively by controlling Macs securely via HTML 5-based remote control from any device.